Sold to the Scarborough Star Lights in June 2000. 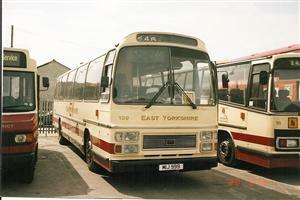 Previously registered HHC 365Y (original), RPN 11 (neither with EYMS) and EGV 367Y. Ex Thornton Dale 1992. Pictures (Scarborough & District and East Yorkshire) courtesy of Mike Davies. 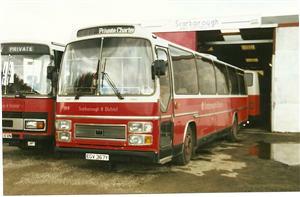 Picture (Primrose Valley Coaches) courtesy of David Longbottom.